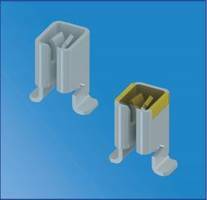 Keystone Electronics Corp. offers a new, cost-effective, quick-fit female terminal which is specifically designed for surface mount applications and accepts tabs from a vertical or horizontal entry position. 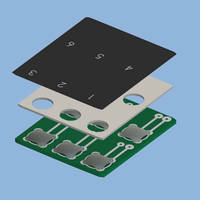 This unique design simplifies the board design process and allows flexibility in board layout and component placement. 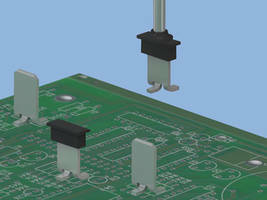 The stable tri-leg design of these terminals provides increased PCB mounting strength. 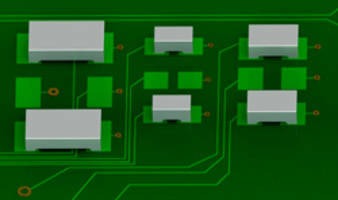 The design also serves to keep terminals perpendicular to the PCB so that the relative position is maintained during, and permanently following the reflow soldering process. Manufactured from Brass with Tin Nickel plating, these rugged terminals are made to hold up under repeated mating cycles. 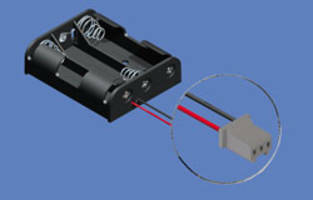 This universal terminal accepts .110” (2.8mm) to .250” (6.4mm) male quick fit terminals. 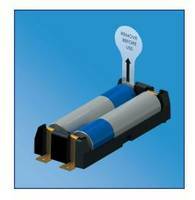 The terminal is supplied in bulk under PN 3586, and on tape and reel with Kapton tape added to the top surface for vacuum pick and place, request PN 3586KTR. Availability is from stock through Keystone’s global distribution network. Online ordering is also accommodated. Keystone Electronics Corp. offers a comprehensive line of interconnect hardware and components, as well as stamping, machining and assembly services. For modifications and special designs, Keystone also offers application–engineering assistance services. Keystone is ISO 9001 certified with headquarters in the US and offices in Canada, Europe, Asia and Australia.